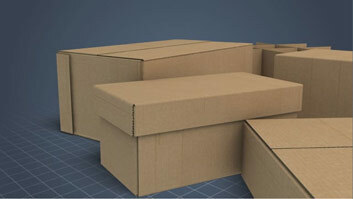 To convert a piece of corrugated board that is produced on a corrugator into a box, the sheet of board must be cut, slotted, and scored into a "box blank" (the precursor to a box). Many boxes are also printed, folded, and glued before they are shipped to the customer, and some boxes are stitched, taped, or labeled, or have specialty forms and materials inserted, before they leave the box plant. 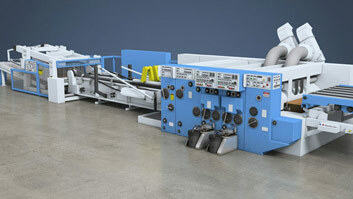 This module discusses the basic operation of several converting and finishing machines that can be found in box plants, including printer-slotters, folder-gluers, stitchers, tapers, laminators, litho-laminators, presses, bundlers, and palletizers. What types of products are typically produced by printer-slotters? 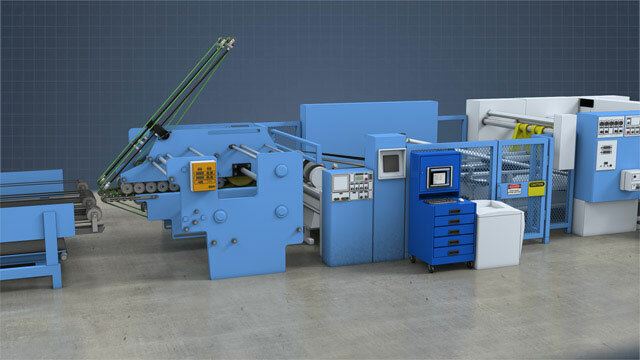 The printer-slotter scores and slots only in straight lines, and so it is typically used to produce very simple corrugated board products, such as basic box blanks. 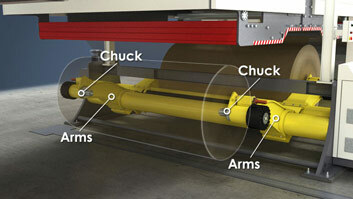 What are folder-gluers used for? Folder-gluers can be used to convert the flat box blanks from die cutters and printer-slotters into folded and glued box blanks. What are stitchers and tapers used for? Stitchers and tapers are used to create manufacturer's joints; stitchers use staples and tapers use tape. Both of them can be automatic or manual in operation. 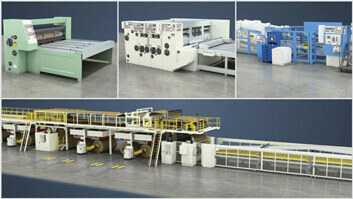 Which pieces of equipment are used to join together two or more sheets of board to create thick board products? Laminators can be used to glue sheets of corrugated board or linerboard to one another, and presses can be used to press the glued sheets together. How are high quality graphics added to corrugated board products? A litho-laminator can be used to combine high quality litho printed graphics with corrugated board, either inline or offline. Folder-gluers can be used to convert the flat box blanks from printer-slotters and die-cutters into folded and glued box blanks. First, a hot melt or cold adhesive is applied to the glue tab or fourth panel. Then, various devices, rods, belts, rails, etc. are used to fold each box blank along its scores. 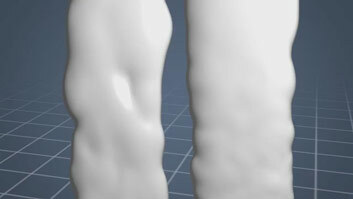 Join the glue tab to the fourth panel and create the manufacturer's joint. Finally, the folded box blanks are counted and stacked.